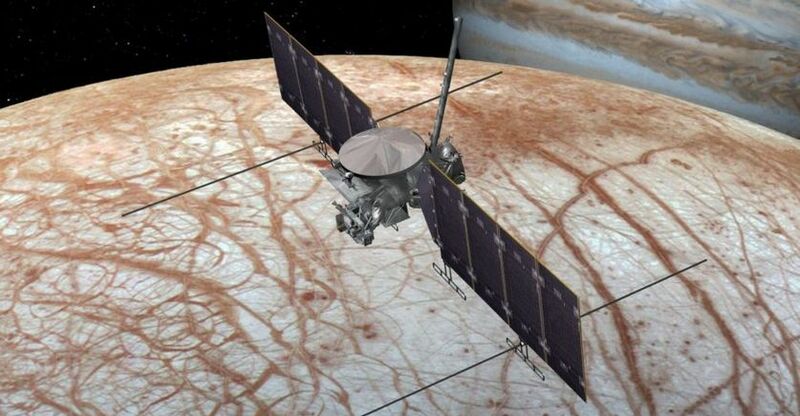 These changes also mean that SLS will be unable to launch NASA’s Europa Clipper, the mission to study Jupiter’s icy moon Europa. While that mission will still go ahead, NASA is to turn to using a commercial vehicle; most likely a Falcon Heavy. The White House indicate that switching to a commercial launcher would shave around $600 million from the mission’s cost; however, use of the Falcon Heavy will mean Europa Clipper will have to complete a longer journey to Jupiter than would be the case when using the SLS as the launch vehicle. 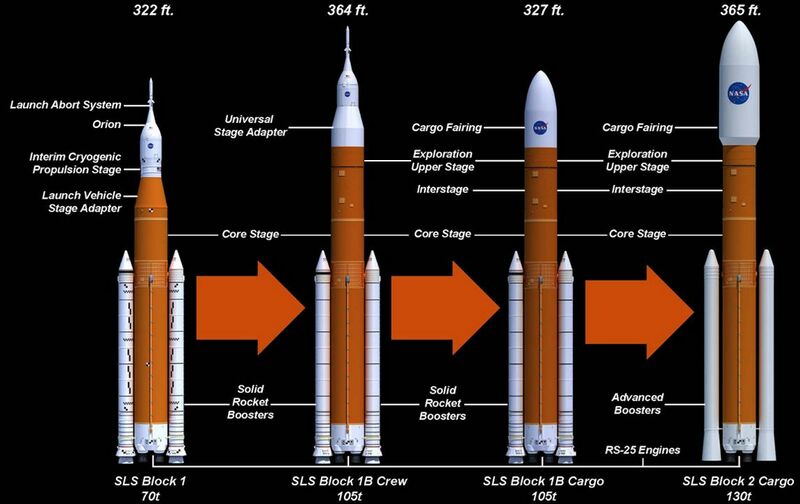 Nor is that all; such are the concerns around the status of SLS development, that in order to achieve the planned June 2020 launch window for the EM-1 mission, NASA Administrator Jim Bridenstine has indicated he is considering switching to commercial rockets. Were this to happen, it would be something of a body blow for the SLS programme; however, it is also an option perhaps easier said than done. 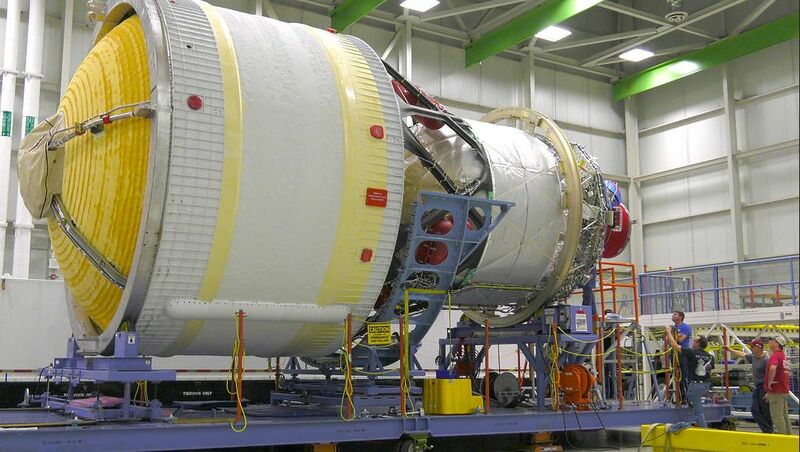 For one thing, there is no launch vehicle currently available capable of carrying the Orion capsule, its service module and the upper stage needed to push it to the Moon in a single go. Thus, a switch to using any commercial launch system would require two launches: one to place the Orion and its service module into orbit around Earth, and the other to do the same with the upper stage engine and fuel needed to push Orion to the Moon. This raises the spectre of an on-orbit rendezvous and docking between the Orion and the upper stage – something Orion is not outfitted to complete. Thus, any switch to using commercial vehicles for the EM-1 flight will incur both additional launch costs for NASA and require the mission be delayed while the required rendezvous and docking capability is developed for Orion – something that will likely delay the launch of EM-1 – possibly beyond the date by which SLS will be cleared to fly if it cannot be ready by June 2020. China’s lander and rover mission to the southern region of the Moon’s far side have been powered down ready to face their third lunar night period. The lander, carrying the 140 kg rover, arrived on the surface of the Moon in the 186 km (115 mi) diameter Von Kármán crater within the South Pole-Aitken Basin, on January 2nd, 2019. Since that time, the rover has covered a total drive distance of 163 metres, carrying out a range of science studies – including manoeuvring up to a 20 cm rock to analyse its composition. The lander has also carried out a range of scientific studies of the local environment. Both vehicles have functioned flawlessly thus far, surviving both the cold extremes of the 2-week lunar night periods, and the searing heat of the “midday” Sun during the 2-week “day” periods, when both vehicles again have to be shut down to prevent sensitive electronics being impacted by solar radiation. Designed to last 3 months, Yutu-2 continues to function well, and providing it comes through the latest lunar night period unscathed, the operations team plan to resume driving operations once the sun has risen late on March 28th, 2019. 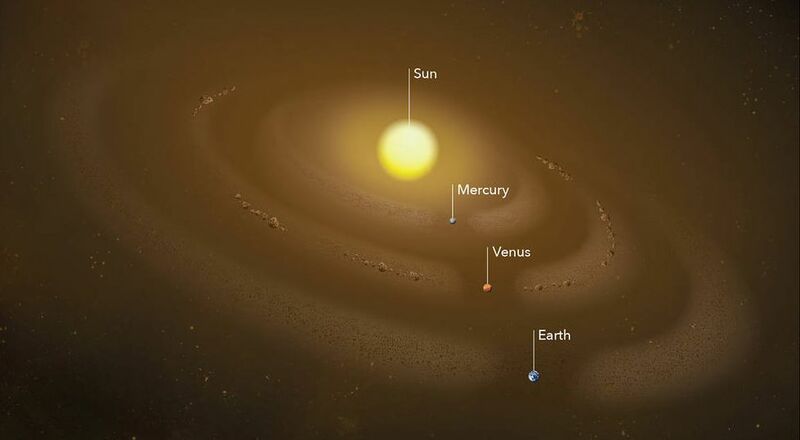 At that time, the rover will continue travelling in a north-westerly direction away from the landing site, which has been officially named Statio Tianhe (“Location of Harmony of the Heavens”) by the International Astronomical Union. Both the rover and the lander entered their dormant states within minutes of one another, as confirmed by the communications relay satellite Queqiao (Magpie Bridge), occupying a halo orbit in the L2 position beyond the Moon, where it can “see” both the landing site and Earth. As well as being a communications relay, Queqiao carries its own science packages, including the Netherlands-China Low-Frequency Explorer (NCE), which deployed its three 5-metre (15 ft) antennae ready to make observations of the solar system and, potentially, record signals from the cosmic “dark ages”. This is the final image returned to Earth by NASA’s Mars Exploration Rover Opportunity. Captured over 29 days between May 13th and June 10th, 2018, it offers 360-degree panorama of Oppy’s resting place in Perseverance Valley, Endeavour Crater, an impact crater at Meridiani Planum. The images were captured in sets of three, each one with a different filter. They have all been combined to create one coloured panorama, although the lower left elements are black-and-white as a result of the global dust storm that ended Opportunity’s life blocking communications before all the captured images could be transmitted. This final panorama embodies what made our Opportunity rover such a remarkable mission of exploration and discovery. To the right of centre you can see the rim of Endeavour Crater rising in the distance. Just to the left of that, rover tracks begin their descent from over the horizon and weave their way down to geologic features that our scientists wanted to examine up close. And to the far right and left are the bottom of Perseverance Valley and the floor of Endeavour crater, pristine and unexplored, waiting for visits from future explorers. Lovely images and great deal of interesting detail. Thanks, Steve! It’s always tough trying to work out what to cover each week while trying to keep things to around 2,000-2,200 words! I had to cull bits on the UK’s Skylon, the potential use of black holes, and other possible items from this one 😦 .